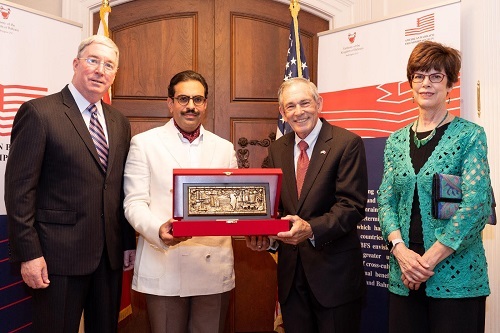 The Embassy of the Kingdom of Bahrain in the United States of America, in cooperation with the Bahraini-American Friendship Society, organized a Ramadan iftar at the official residence of the Ambassador, Shaikh Abdullah bin Rashed Al Khalifa. The iftar was attended by many friends of the Embassy from official bodies such as the Department of Defense, the Department of Homeland Security and the US Congress, as well as various informal bodies such as think tanks, universities, companies and non-governmental organizations, Bahraini students and other expatriate citizens and their families. 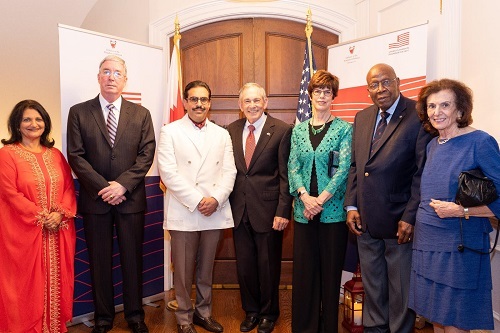 During the welcome speech, the Ambassador affirmed the depth of the historical relations between the Kingdom of Bahrain and the United States of America, particularly the interrelationship between the two friendly peoples, which began in the late 19th century with the establishment of the American Mission Hospital, stressing the role of the Bahraini-American Friendship Association, which celebrates its 28th anniversary by developing friendly relations between the two countries and the two friendly peoples, and reflecting the honorable civilizational image of the Kingdom of Bahrain in Washington, DC, and various US states. 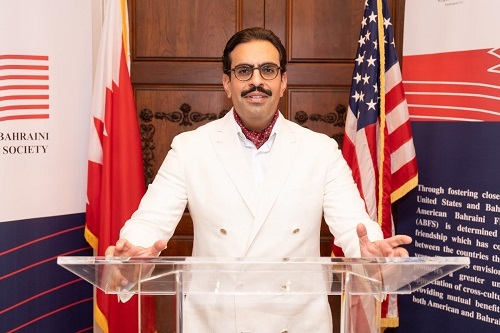 The Ambassador referred to the cordial gesture of His Majesty King Hamad bin Isa Al Khalifa to receive the members of the American community residing in the Kingdom of Bahrain in April, where he praised, during his speech, the Bahraini-American friendship that His Majesty described as profound and distinctive, adding that the members of the American community who came to live in the Kingdom contribute to its prosperity, affirming that the Bahraini and American nations may be different but share a tolerance that has become a well-established and proud tradition and that the two nations have a common dream of creating a world of peace and prosperity. The New President of the Bahraini-American Friendship Society, Vice Admiral John Miller, praised the friendly relations between the two countries and the hospitality of the Kingdom of Bahrain to the American Fifth Fleet which is important to maintain regional and international security and peace, expressing his appreciation for the efforts of the former President of the Society, and his aspiration towards further working to strengthen these distinguished relations between the two countries and the two friendly peoples.